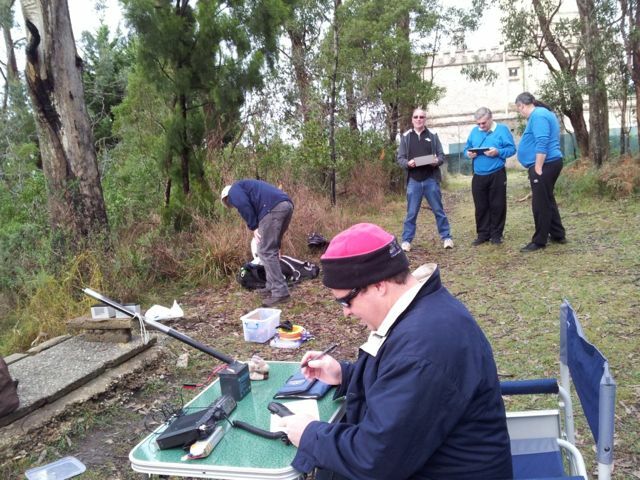 The End of Year dinner was held on Sunday 7th December 2014 at the Marion Sports and Community Club. 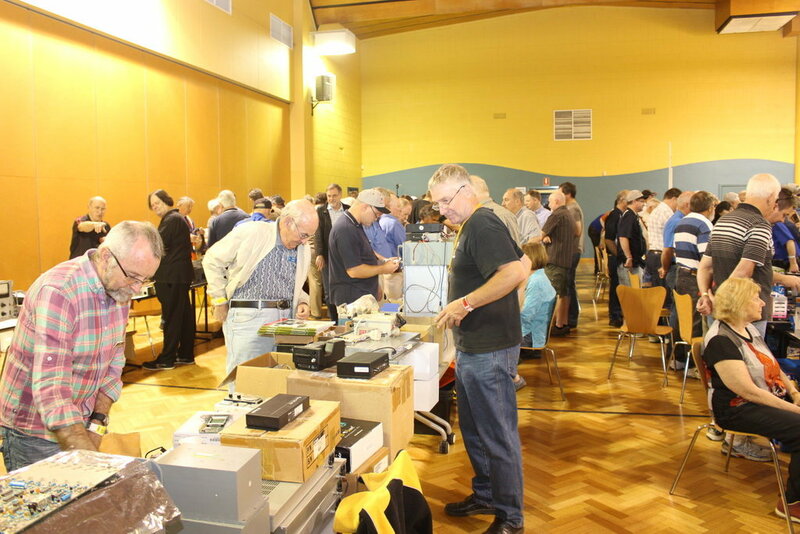 On Sunday 23rd November 2014, a 'Welcome to Amateur Radio' symposium was held at the Blackwood Community Centre. 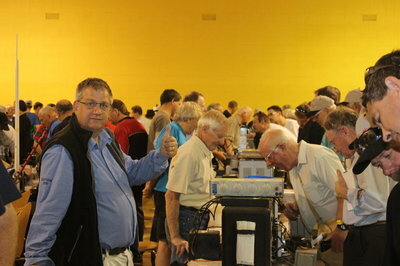 The focus of the symposium was to discuss the basics of the hobby of amateur radio. Cost was $7.00 which included morning tea (tea, coffee, biscuits), lunch (Subway & pizza), & afternoon tea (tea, coffee, cake). Topics included: having a good QSO, the DX cluster, electronic logging, SOTA, QRZ.com, and an introduction to CW. 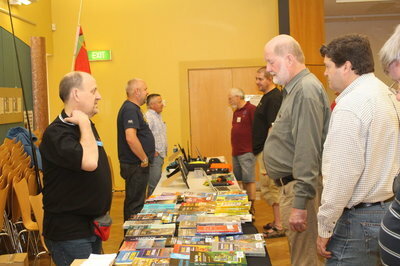 There was 16 x short 20 minute presentations, followed by a general question session. It proved to be a very popular day. 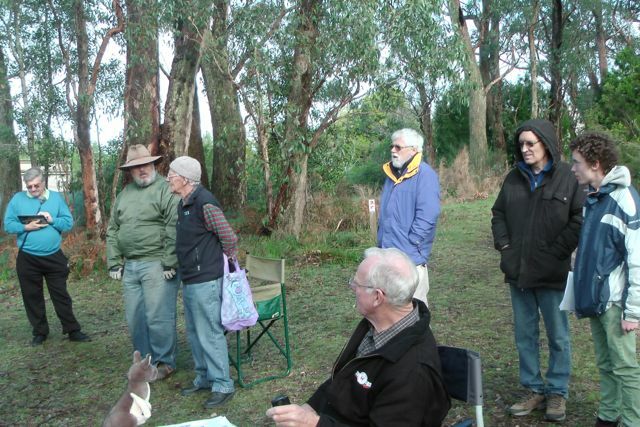 This was held at the shack. 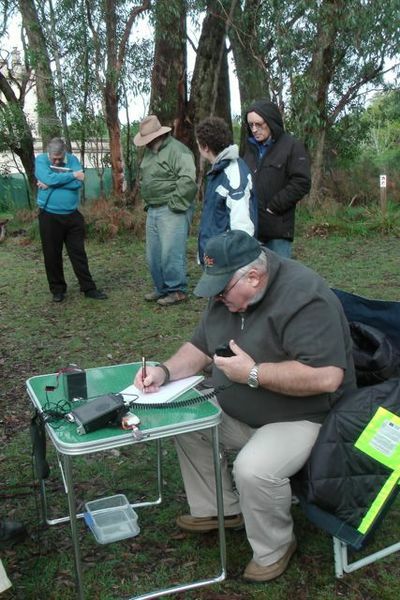 Satellite communication for Hams, by Damian Clissold VK5FDEC. 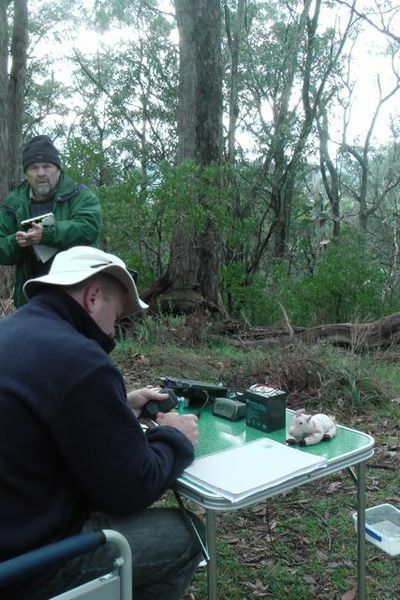 The UBUNTU software operating system, by Hans Smit VK5YX. Thanks to Doc, VK5BUG, who did the groundwork for this event. VK5BAR operated adjacent to the Marino Rocks Lighthouse (AU0118), within the Marino Conservation Park. 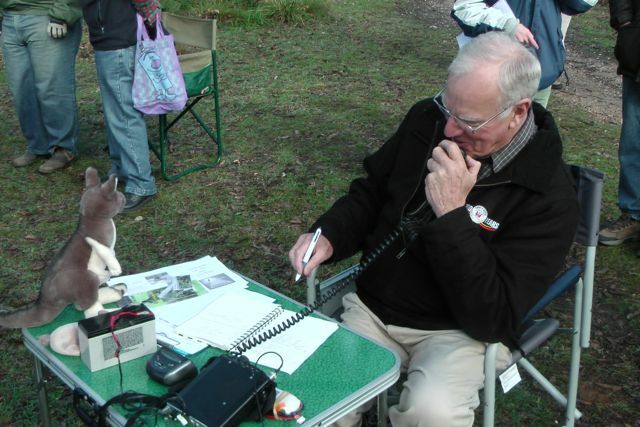 Those who contacted us can get points towards their CP award, as well as a VK5BAR QSL card for the ILLW. For we three indefatigable amateurs (Doc, VK5BUG; Patrick, VK5MPJ; and myself, VK5EMI), this was our first attempt at either a Lighthouse weekend, or a conservation park activation. 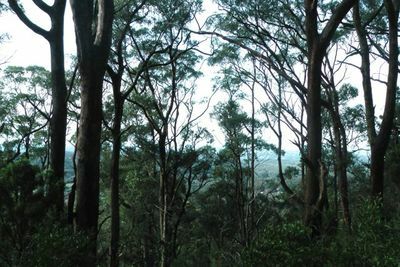 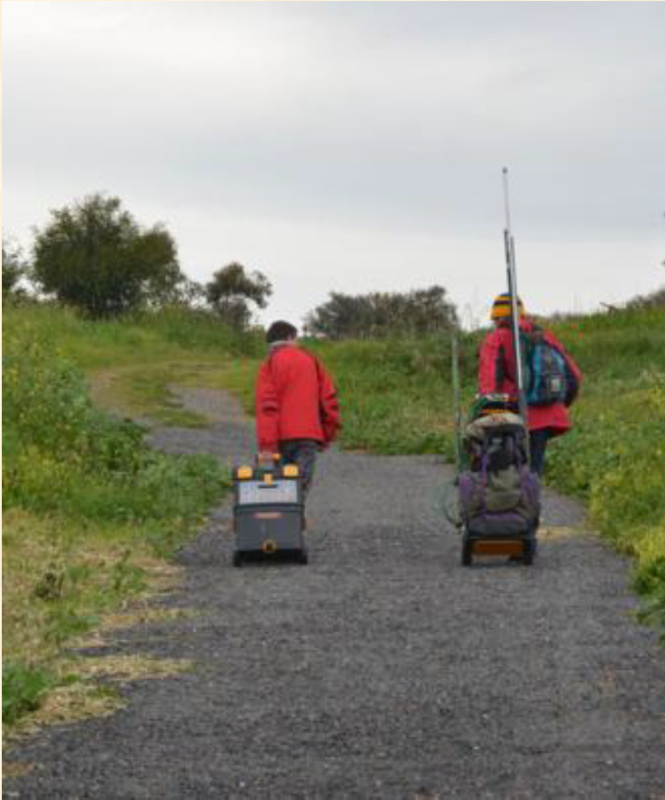 The path from the carpark up to the transmitting point was rather long and steep, outlining the need to travel light in such circumstances. 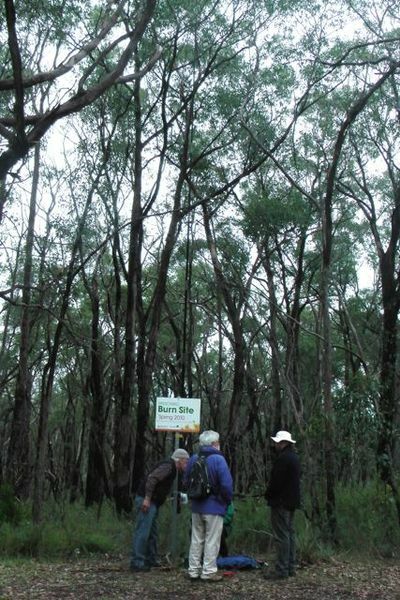 Doc’s all-in-one trolley performed well in this regard. Unfortunately, the ILLW Weekend coincided with the RD contest, as it often does, and there were more operators out for scoring in that than chasing lighthouses or conservation parks, so we had to compete with those. 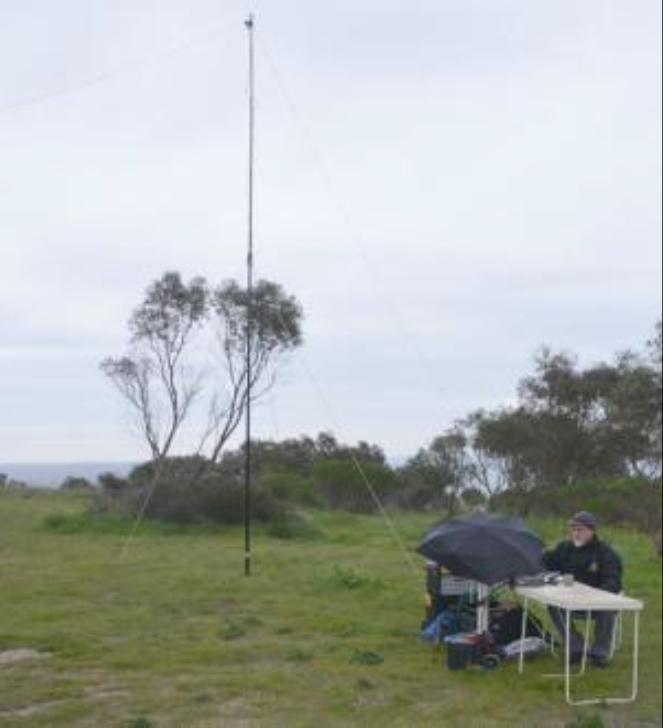 Doc had built an adjustable alloy tubing vertical, to act as an 5/8 wave @ 10m, or 1/2 wave @ 15m, or quarter wave @ 30m. 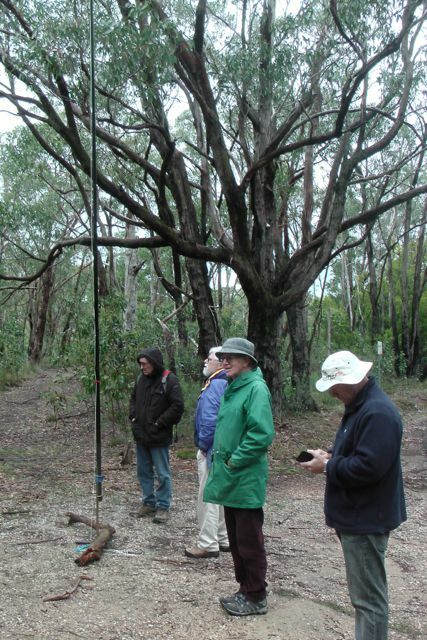 The antenna is just dropped into the trolley-mounted base. 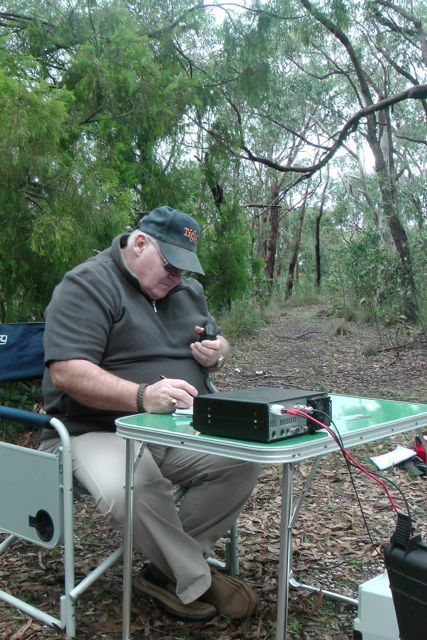 His plan was just to activate 10m CW as his portable txcvr is a 10m monobander 5W/25W. There are 3 sets each of 4 radials for bands 10, 15 & 20m - the other sets will also come later. 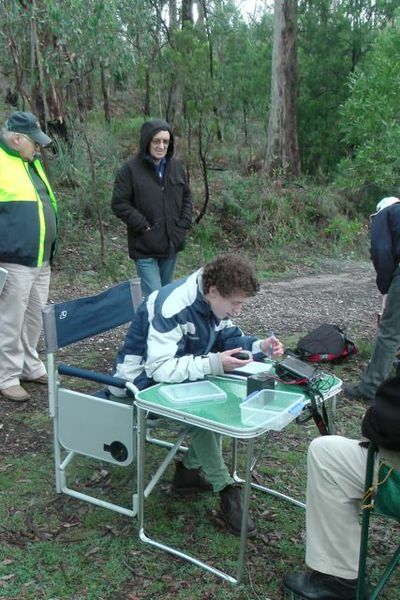 The trolley has a slide –out operating desk for seated use, as well as capacity for stand-up operation & logging. On the Saturday, the 40m inverted V system made a total of 26 SSB contacts, 8 of those to other lighthouses. Doc, operating QRP, had big troubles with local noise, but on the Sunday, made 10 contacts on CW. 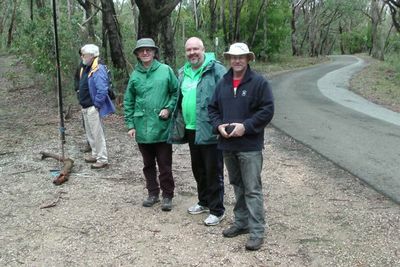 All in all, although the scoring and weather wasn’t superb, we all enjoyed the challenge, and will try again next year. 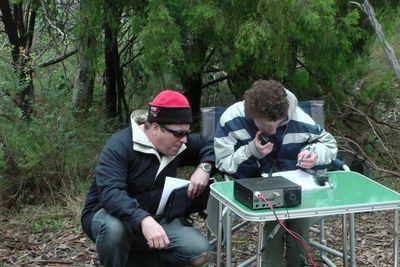 Amateur Radio Ergonomics: ''Negative impacts of the digital technology revolution on humans - including Amateur Radio operators!!" 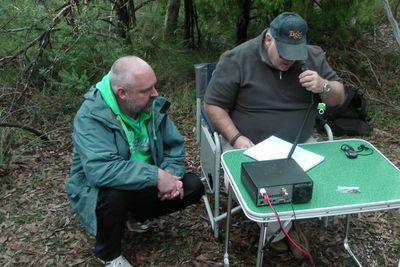 Presented by A/Professor David Wescombe-Down (VK5BUG). 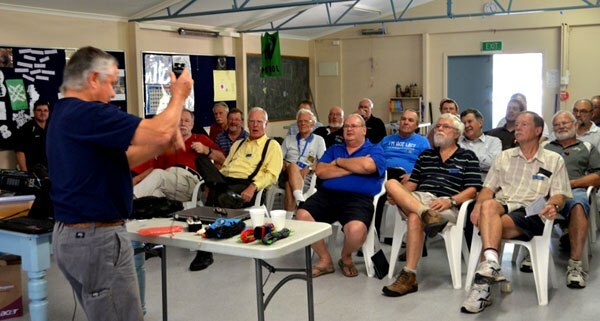 The Mid Year dinner was held on the 20th July 2014 at the Marion Sports and Community Club. This is always a good night because of the variety of items members display for our edification. 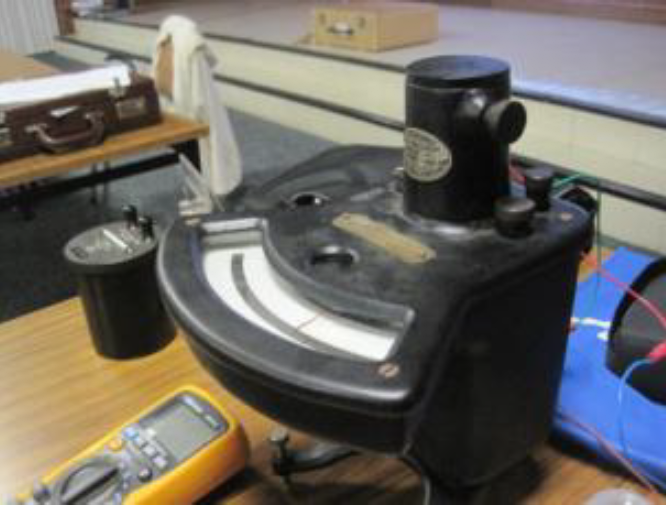 This evening started with a pair of very old instruments that Lyle VK5WL, who is associated with at the ETSA (Electricity Trust of SA) Museum, demonstrated: The Lord Kelvin Electrostatic Meter was a device of great interest. It measured either AC or DC voltages with very high accuracy. Lyle also showed us a stan-dard cell, used for calibration of electrical measuring devices. 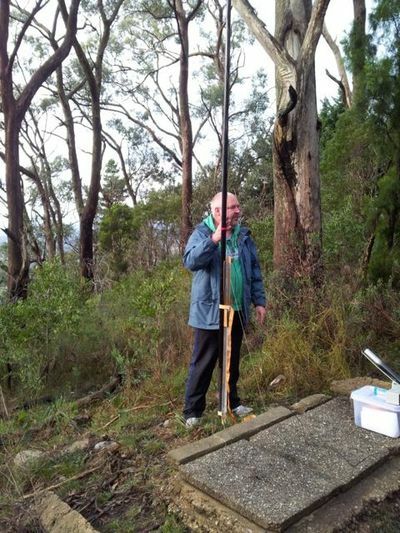 Steve, VK5AIM had some very simple but useful aerials he had made for National Park operations. 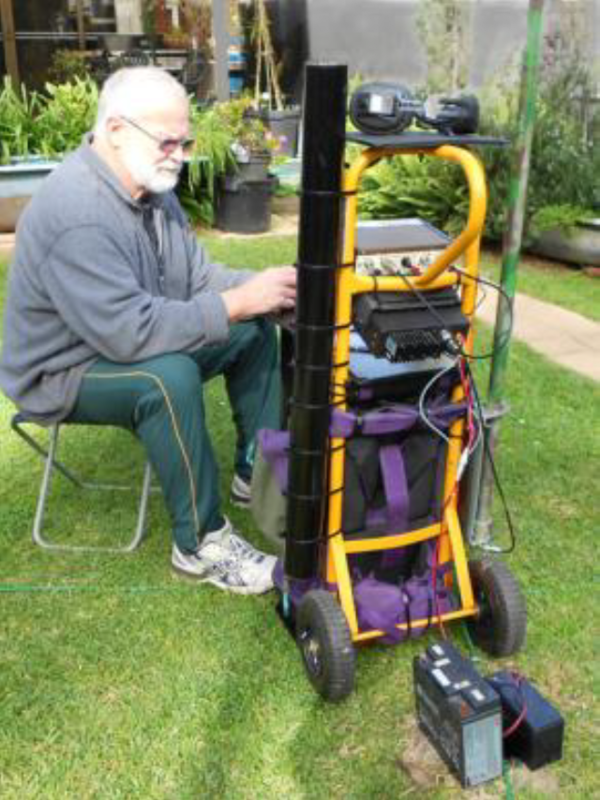 Basically he had a full wave 80 metre aerial (including balun!) 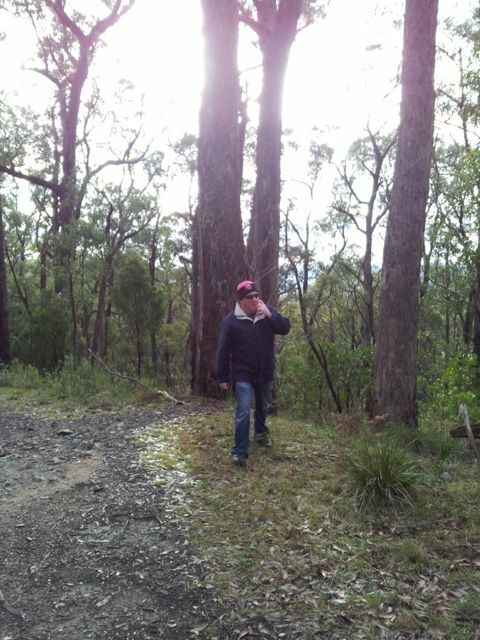 in a jam jar. 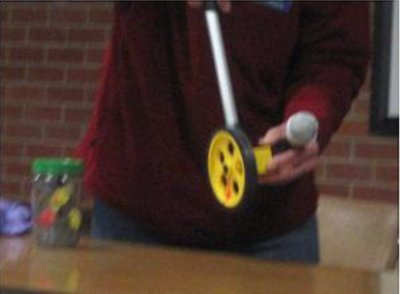 To measure the lengths of the wire he had bought a standard measuring wheel (a hodometer) from the local hardware store. 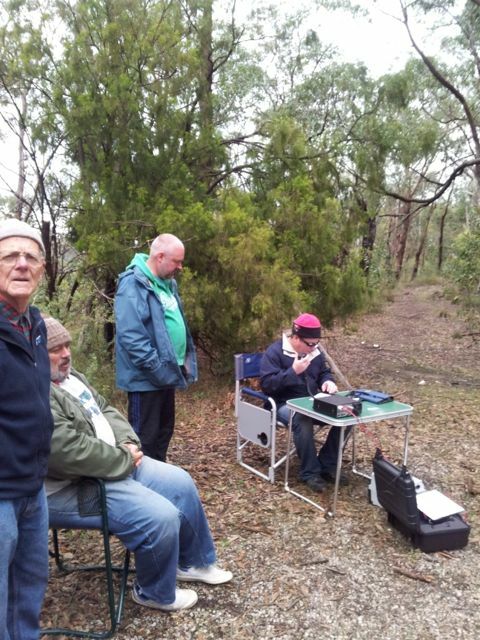 Garry VK5PCM showed his 80 metre DSB 10 watt transceiver, which is based on the original ZL2BMI ver-sion. 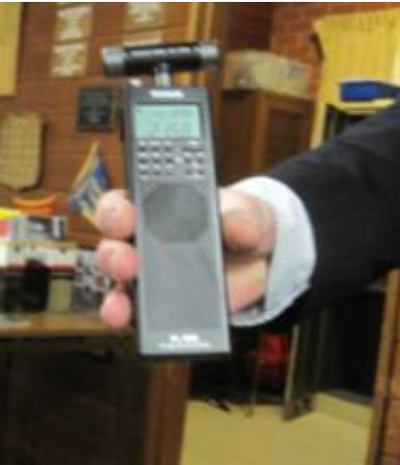 Historically this design has been around since the early 1980's. 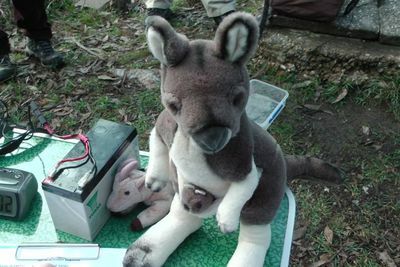 Like most aspects of scratch-building the project does not always conform to what is on hand, available, desired or wanted. 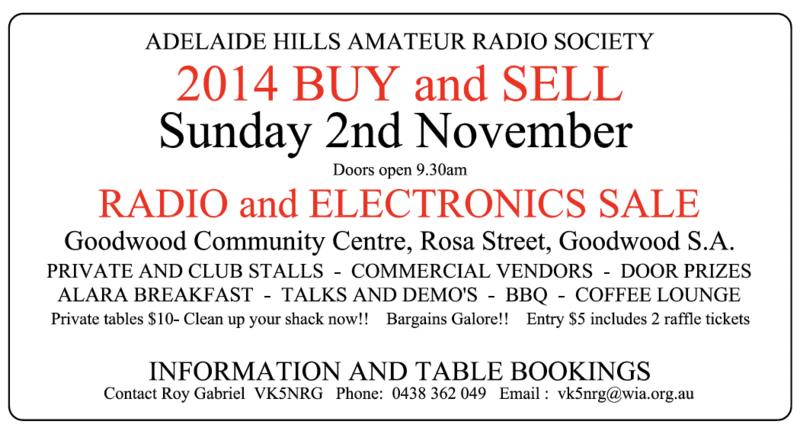 Therefore the end product resulted in a different vox, audio amp, mike amp and RF amp. The final results to date remain just an interesting experimental project, due to the most expensive part, realestate. Darryl VK5JDS showed us his version of a TV RTL USB Dongle SDR Receiver, using a R820T based tuner, plus home-made HF to VHF UpConverter for LF to HF reception. 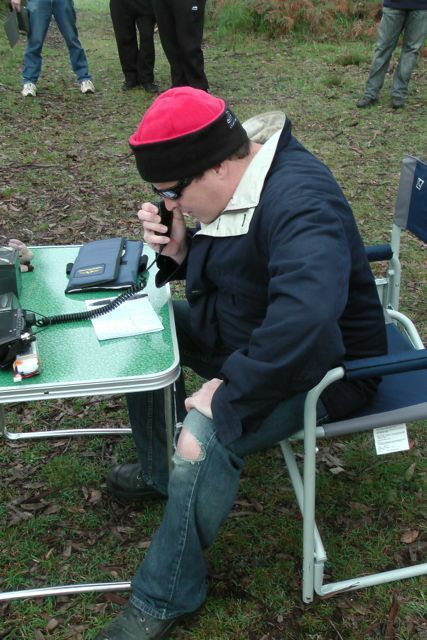 Based on the „Silicon Chip SiDRADIO‟ pro-ject, but using Low passband filtering for the converter. 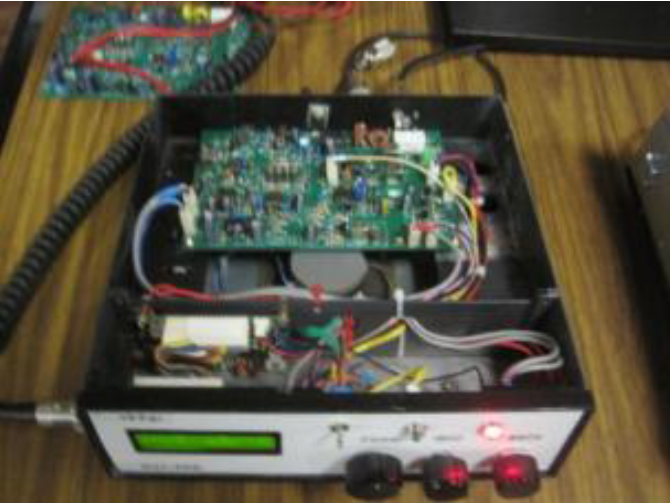 Diode Ring Mixer and 50MHz TCXO module, Input Attenuator and no RF pre-amp used. 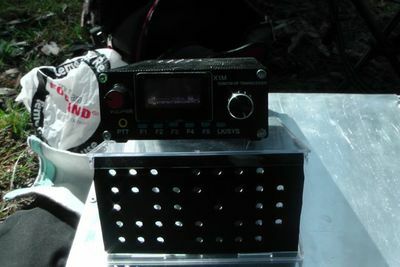 Built in a recycled metal case. Norm VK5GI with two beautifully made transceiver kits, one for 40 metres and one for 80 metres. 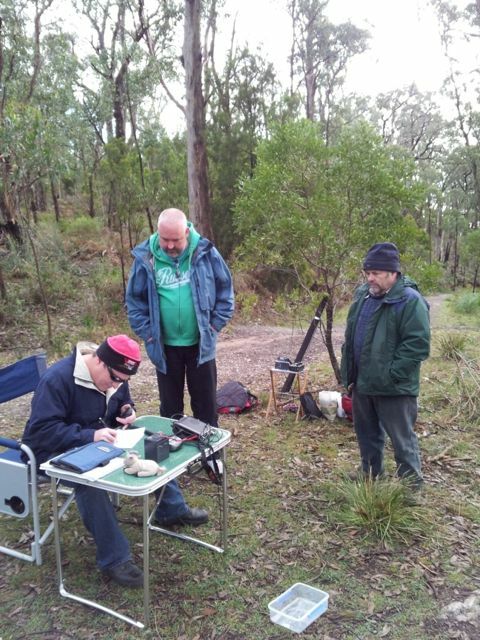 Paul VL5JD who showed and explained his electronic logging system. 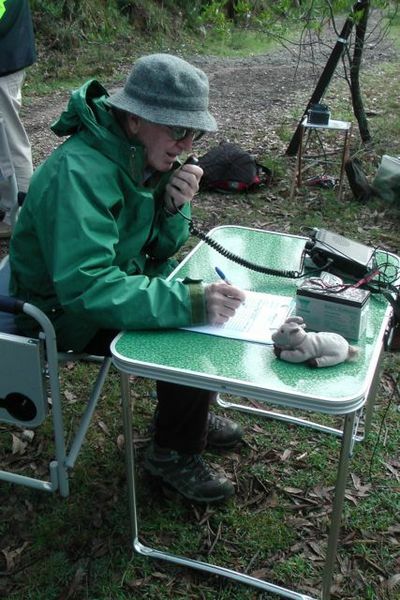 George VK5IT, lives in a very lossy area so has had problems. One of the ways he has solved the problems is by using a choke in the circuit—a monster choke of heavy duty coax wound on a large diameter plastic pipe. 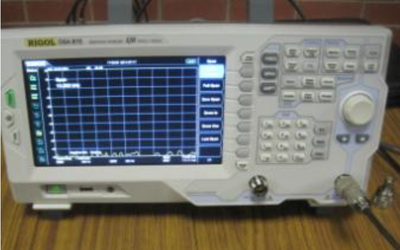 Mark VK5AVQ had been to Gibbstech recently so he brought along his State of the Art spectrum analyser he had bought there (from Aztronics) for us to see. 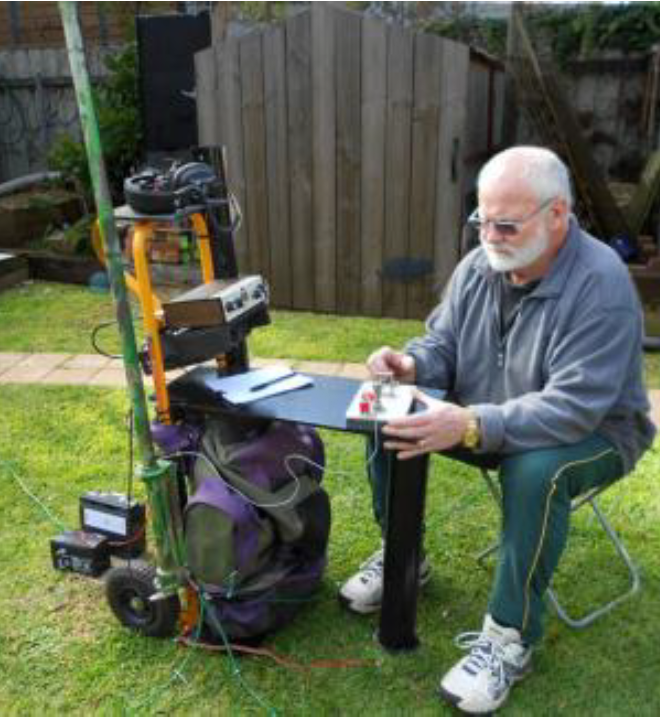 Jim VK5JT brought along and outlined the design philosophy of his new Antenna analyser. This unit can be used up to 2 metres. It is not yet ready for publication or sale but watch this space. Eric, VK5HSE outlined crystal filter designs (by G3UUR) and some of the properties of crystals. 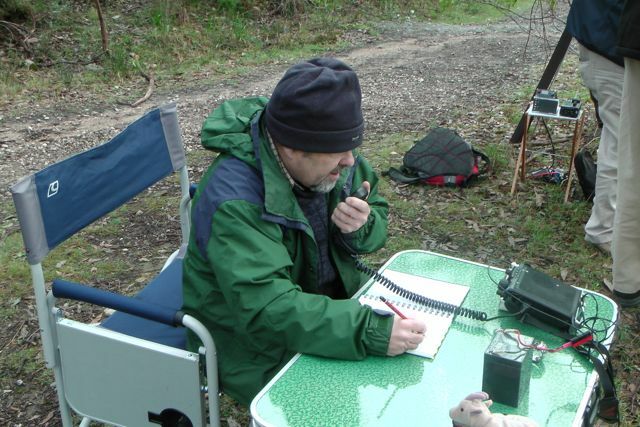 Paul, VK5PS explained the requirements for elevated radials for 1.8 MHz. 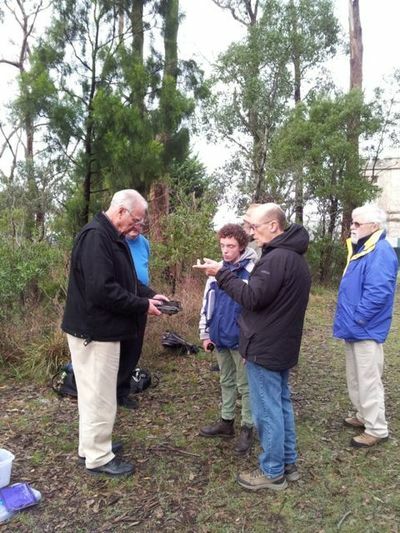 Andrew, VK5CV demonstrated a tiny field-strength meter for 475kHz. Iain VK5ZD. 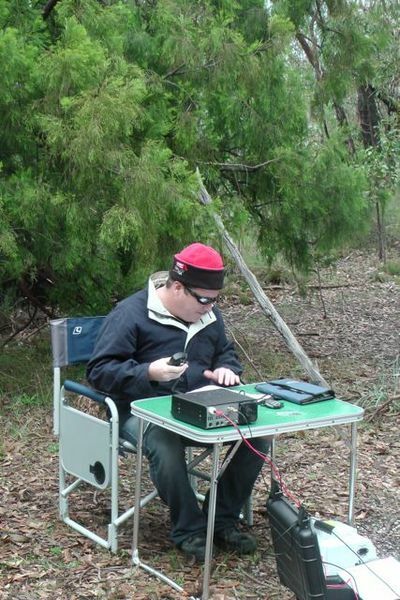 Showed an Interface to VKCL (the VK Contest Logging program) from an FT 817. It uses a Pickaxe CPU, and is for 3.4 GHz Tx. 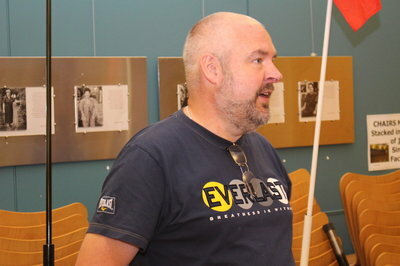 Connectors, by Barry Williams VK5BW. 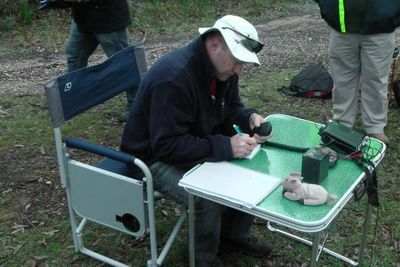 Part of the Back to Basics lectures. Soldering, by Jim Tregellas VK5TR. 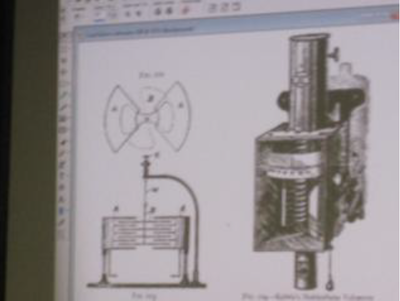 Part of the Back to Basics lectures. 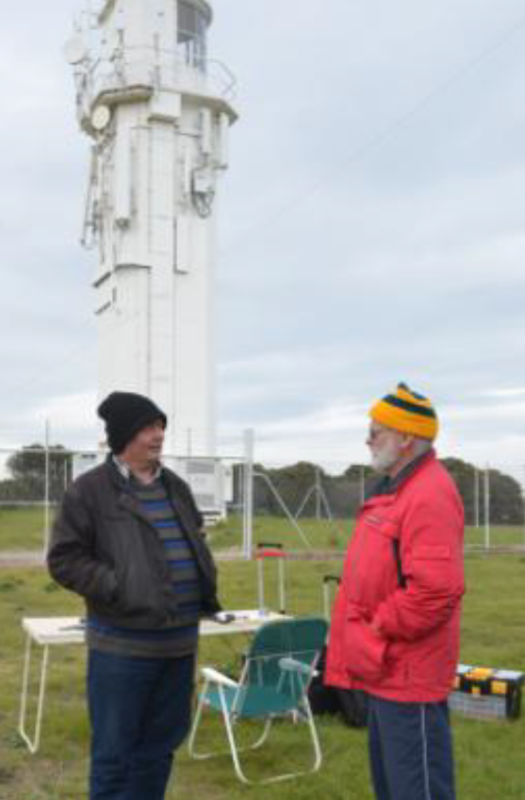 Capacitors, by Phil Storr VK5SRP. Part of the Back to Basics lectures. 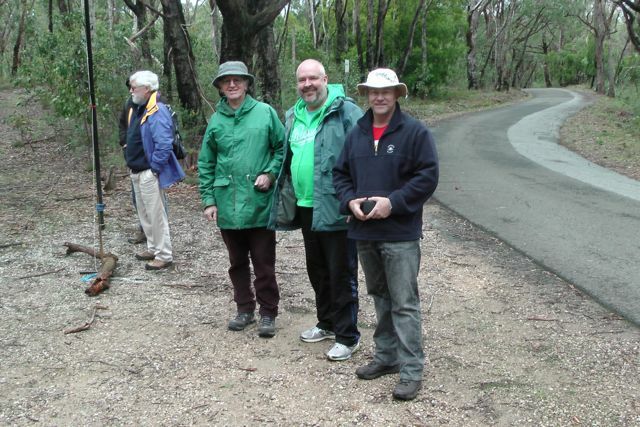 Resistors, by Phil Storr VK5SRP. The first of a series of lectures entitled Back to Basics. On Sunday 1st June John VK5BJE and Paul VK5PAS, took a keen group of amateurs out into the field to activate Mount Lofty summit for the Summits on the Air (SOTA) program, and then Belair National Park for the World Wide Flora Fauna (WWFF) program & the VK5 National and Conservation Parks Award. 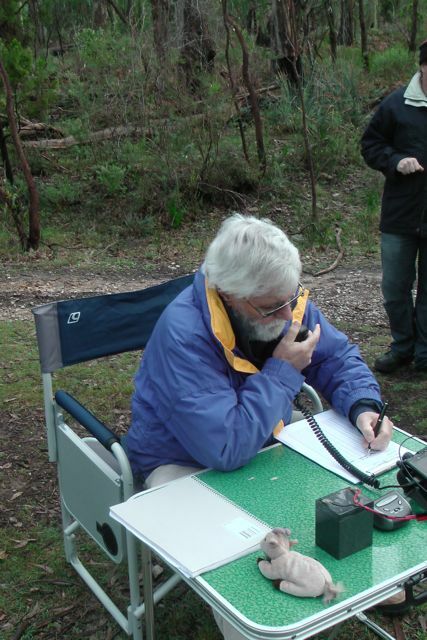 Logbook of the World (LOTW) by Paul Simmonds VK5PAS. 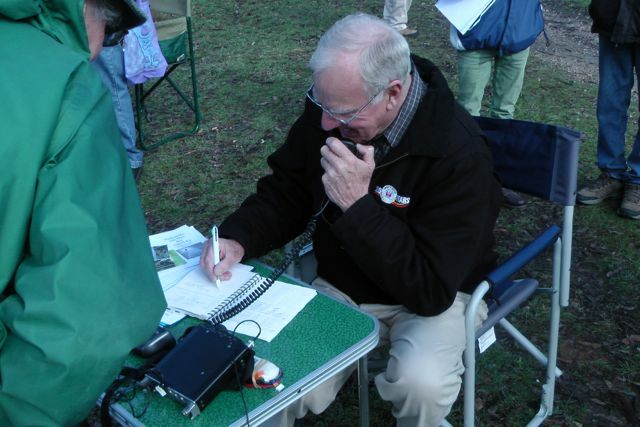 Paul VK5PAS delivered a presentation on Summits on the Air (SOTA). 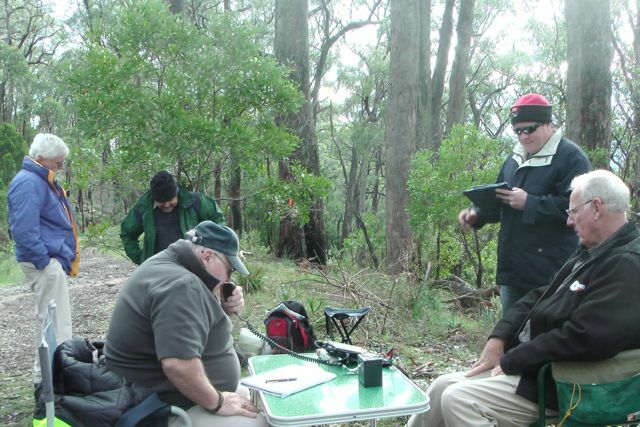 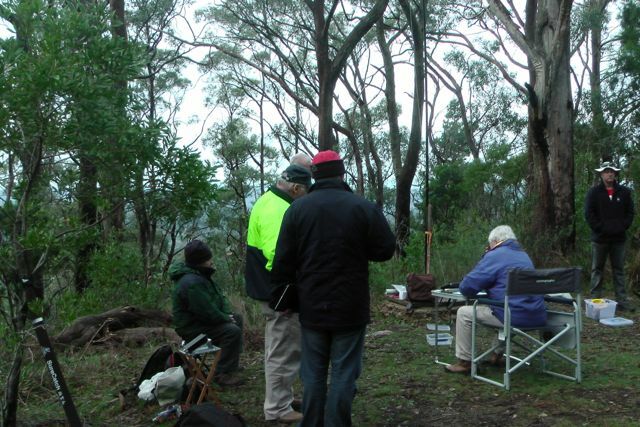 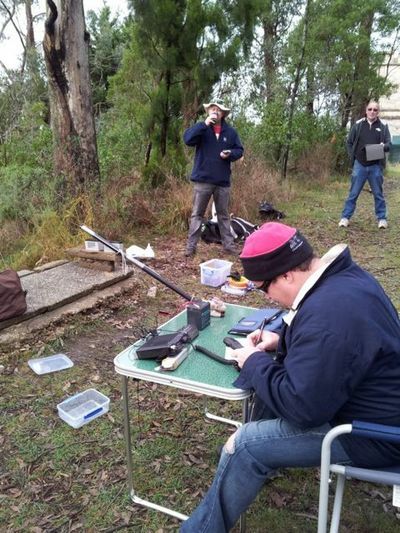 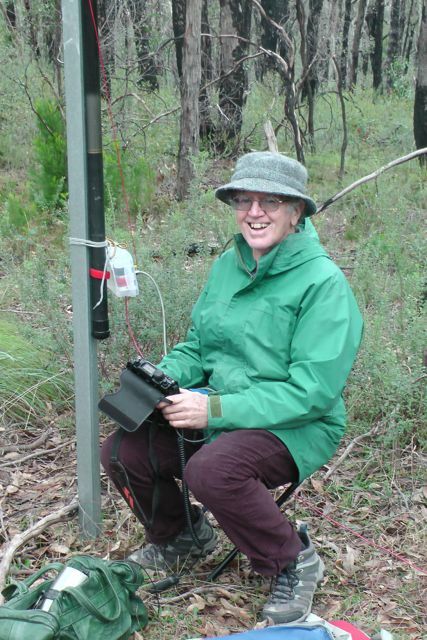 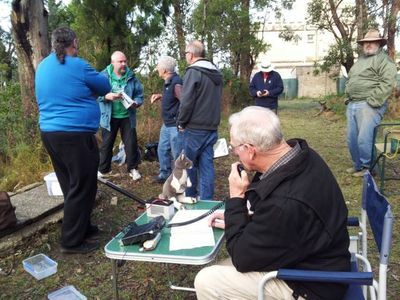 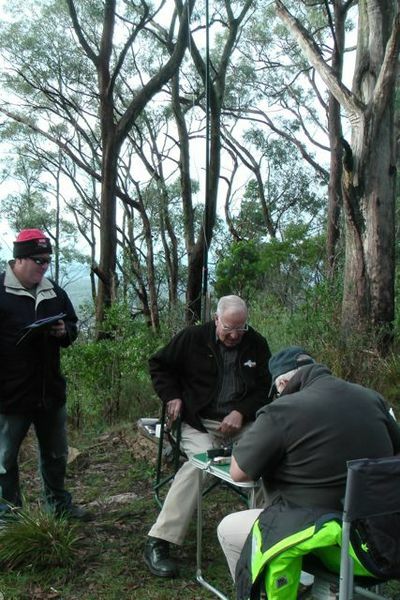 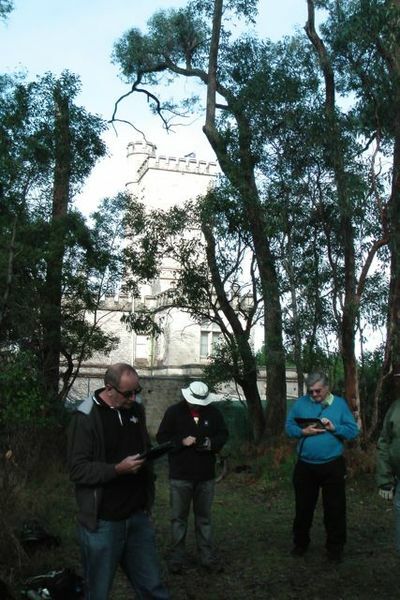 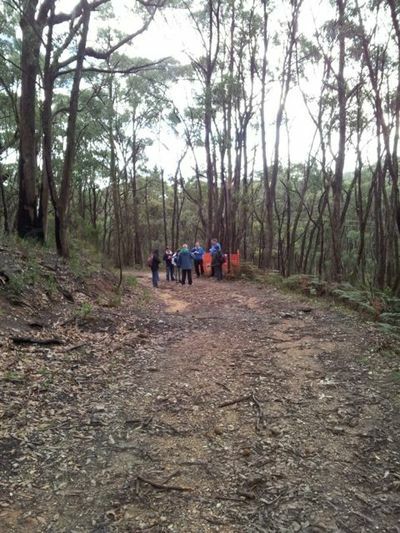 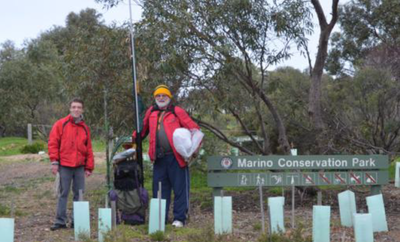 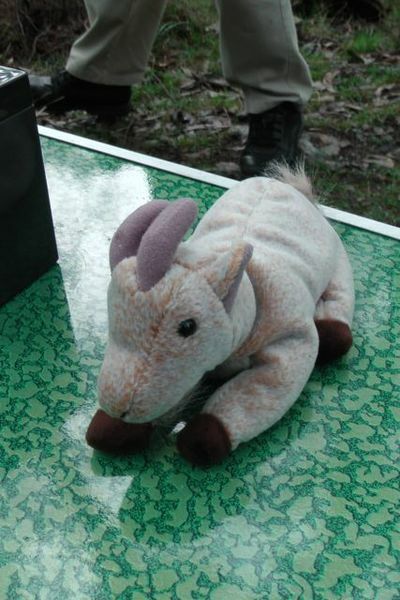 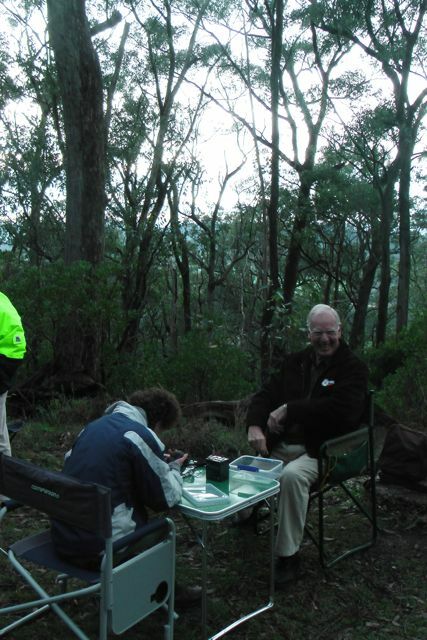 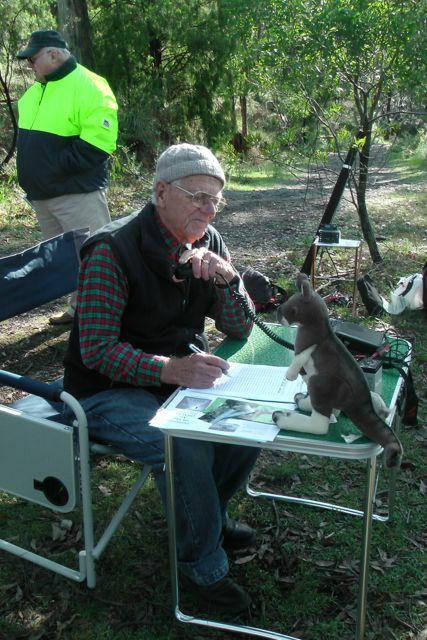 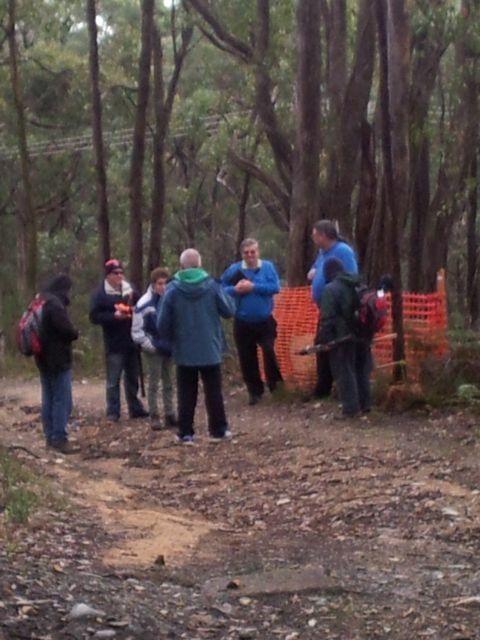 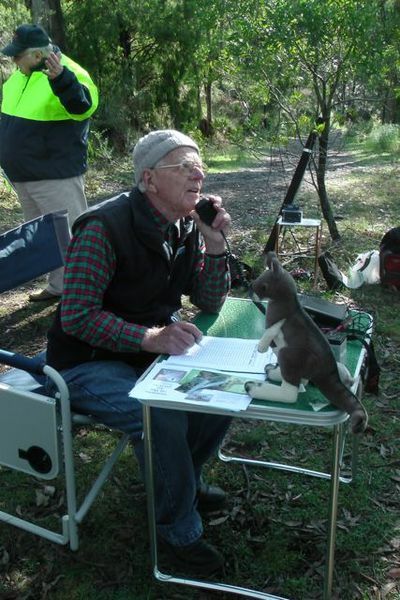 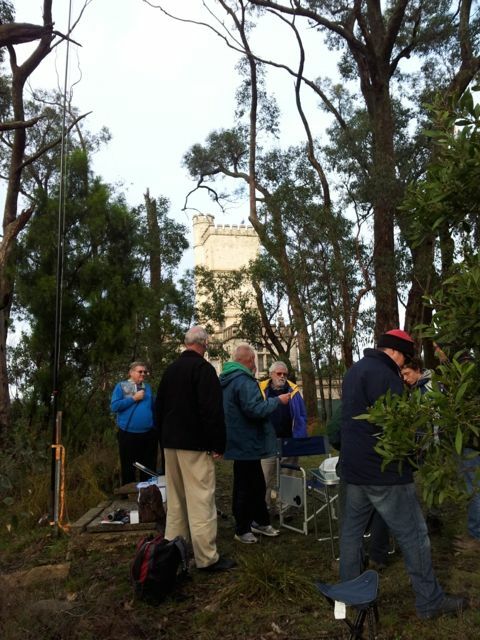 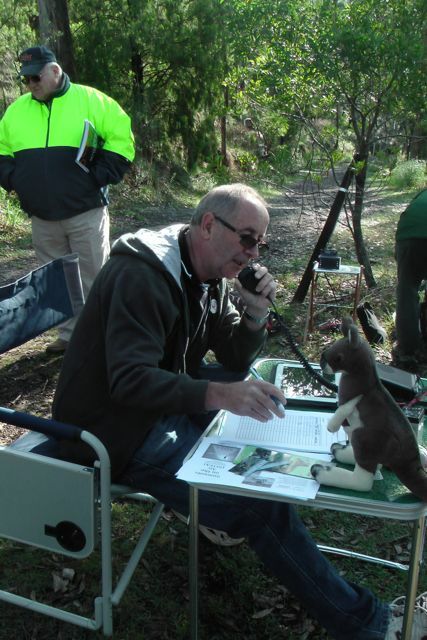 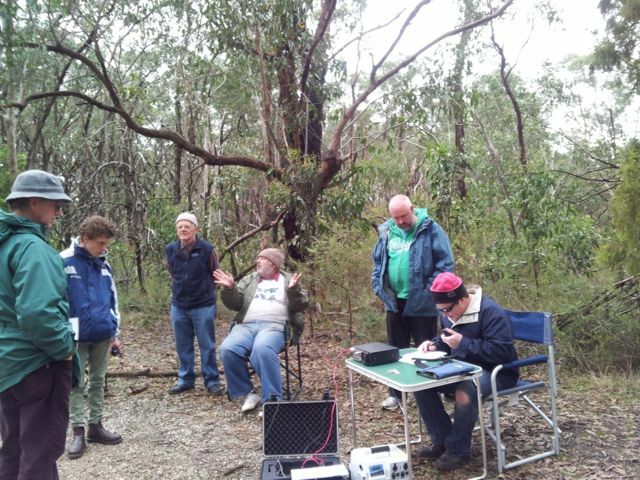 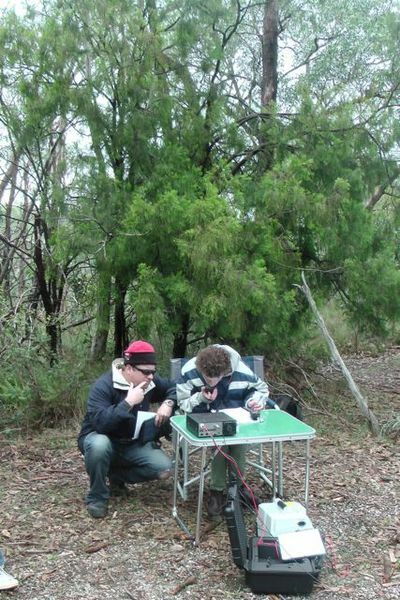 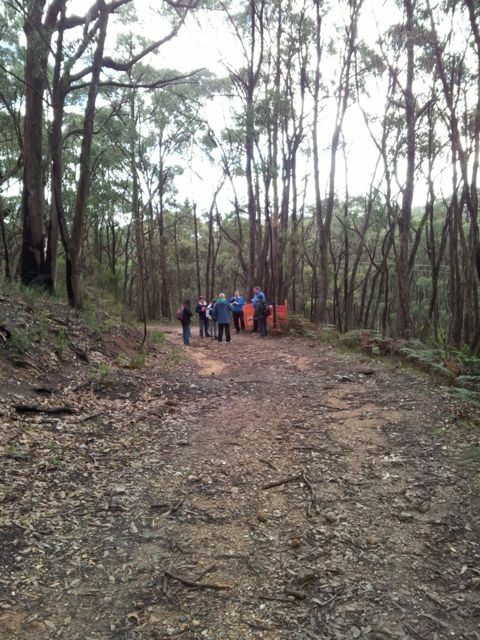 A number of amateurs set up an amateur radio station at the Belair National Park on Sunday 13th April 2014. The expo was to showcase the benefits of modern amateur radio and engage the community. Digital Modes for newbies, JT65 & Dstar by John Dawes VK5BJE. 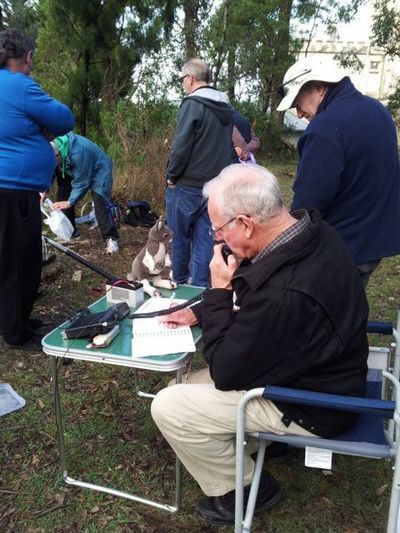 Experiences of Andrew Smeades VK5OS as a merchant marine radio operator. This was held at Womberoo. 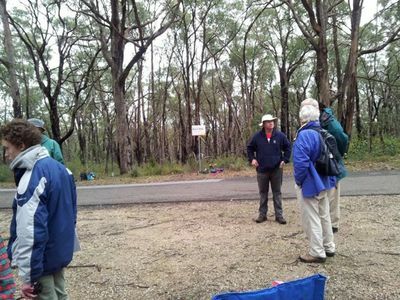 On Sunday 9th March, 2014, a VK5 SOTA & Parks symposium was held at the Guides Hall, Hannaford Road, Blackwood. The purpose of the symposium was to allow like minded amateurs to get together for the day, who have an interest in the Summits on the Air program, the VK5 National and Conservation Parks Award, the World Wide Flora and Fauna program, the Keith Roget Parks Award, and portable operation in general. 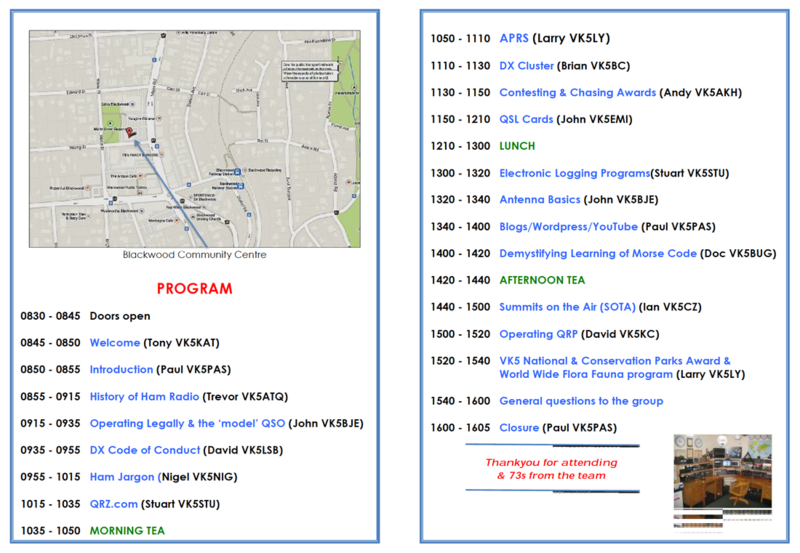 Doors opened at 8.30 a.m. with the symposium commencing at 9.00 a.m. 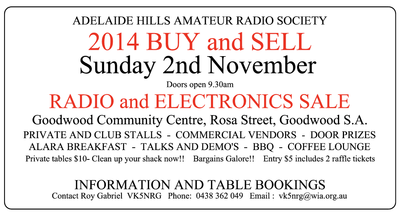 The day commenced with a welcome by the President of the Adelaide Hills Amateur Radio Society. 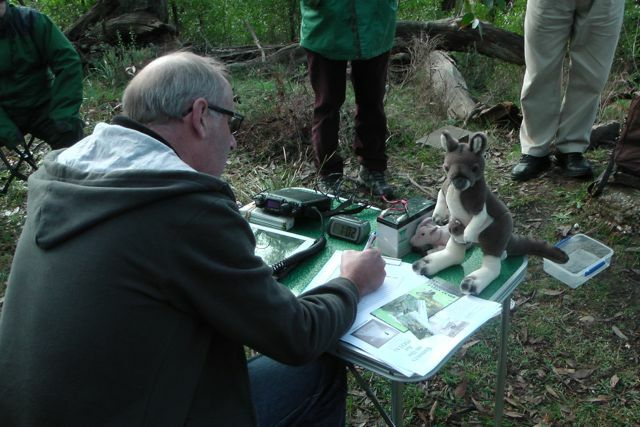 This was followed by 4 guest speakers who spoke about SOTA’s progress in VK, tips for activators & hunters of the VK5 Parks Award, an overview of the World Wide Flora & Fauna program, and using lithium phosphate chemistry batteries. Morning tea was then taken and this was followed by a further 5 presentations by guest speakers, on topics including home brew antennas, SOTA for the beginner, the parksnpeaks spotting site, prominence as related to SOTA, and a comparison between some portable HF equipment. This was followed by a short round table, general questions session and the closure of the symposium. 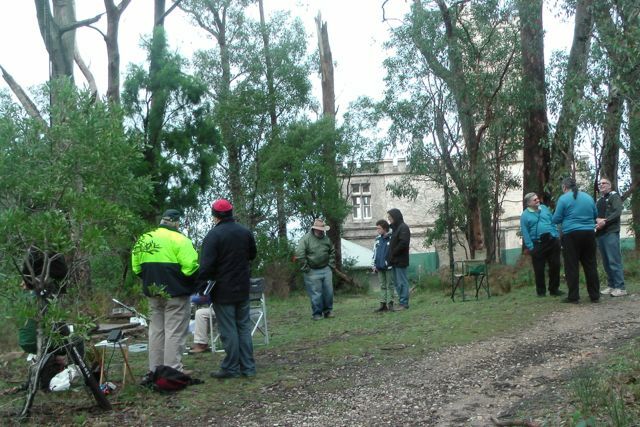 A BBQ lunch followed. Around 35 amateurs attended the symposium. AGM, followed by presentation by Paul Simmonds VK5PAS on the new "WIA Award System"
This was held at Lions Park, Bridgewater. 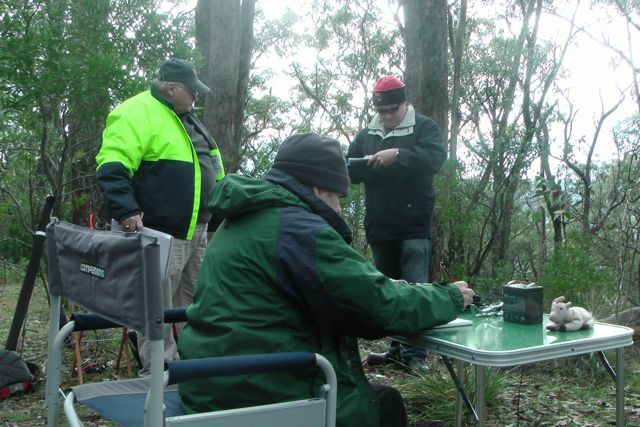 Commencing on 18th January 2014 were a number of Saturday morning technical sessions which consisted of a frequency counter project presented by Jim VK5TR.